Hey there ladies! We thought we’d take some time to tell you more about some of the amazing vendor partners that we have featured in The Bride Box – a monthly subscription box for brides! Waterfall Designs, is a family owned business specializing in personalized glassware and clothing for wedding parties and events. After years of growth, their shop has become a personal favorite for brides all around the world who are searching for unique and personalized wedding gifts. Visit their website and you will find exceptional apparel for brides and bridesmaids such as aprons, tank tops, T-shirts, canvas tote bags, and adorable baby onesies! They also feature stunning glassware such as wine glasses, champagne flutes, and mugs. Be sure to check out their stainless-steel flasks. Your hubby and groomsmen are sure to love them. Prepare Wear is a team based out of California that specializes in bride and bridal party apparel, and is dedicated to making products that are tailored and customized to YOU. Visit their Etsy shop and find lots of gorgeous clothing to help make you feel special before your big day! They have everything from neon “Team Bride” hats to sparkling rhinestone “Bride” Tees and “Mother of the Groom” tank tops. Custom orders are available upon request, so make sure you scoop up their bachelorette party hats and give your gals something to say thank you. The Crafty Smiths are a husband/wife business based out of Washington state. They specialize in high-quality laser cutting, etching, and other various crafts. Visit their website at CraftySmiths.com to see their amazing collection, which ranges from awesome wine cork stoppers to customized, plywood save-the-date announcements. They even have solid wood thank you cards that come made with your choice of 20 different wood species. If you’re looking for something original and unique for your wedding guest book, check out their wonderfully-crafted wooden snowflake ornaments guest book. Bin’s creations is a wonderful shop started by Binny Anthony in 2011. They specialize in custom leather products that are completely handmade in a way that ensures you’re getting the most personalized and customized leather around. Visit their website at BinsCreations.com and check out a wide array of elegant leather goods such as save-the-date cards, adorable polka-dot wristlets, and wallets. Make sure you take a look at their set of 10 monogrammed luggage tags, which would make perfect gifts for the groomsmen, and any other fine gentlemen in the wedding party. Do you have a product you would like to feature in The Bride Box? Click here to contact us. A similar option could be to designate a kid’s table, cover it with inexpensive craft paper, provide crayons, and let the little Van Gogh’s go hog wild. We love the idea of providing the kids with their own Lego table, filled with various pieces that will keep them busy for hours on end. Just make sure it’s in a sequestered area of the reception, or those colorful blocks of imagination will become little instruments of death when combined with spiked heels. Keep the kiddies included in activities normally reserved for just the adults and they just might have a good time. Why not have a separate “Teddy Toss” before or after the bouquet toss? Provide each child with a disposable camera and a scavenger list of things to find and take pictures of. This not only entertains them, but provides you with more photographic evidence of the best night of your life. Not only will lawn twister occupy their minds, it will also give your little ones great exercise. It’s easy to set up too. Just buy a few cans of different colored water-based spray paint, cut a large hole in a cardboard box, and spray away! Why not set up a little bubble competition with a bubble blowing station? Watch their eyes light up as iridescent soapy creations materialize in front of their adorable faces. What activities are you setting up for kids at your wedding? Tell us about it in the comment section below! Looking for a specialized twist on the classic rustic chic wedding? Honey is a universal symbol for sweetness and love, so why not spread some of that joy to your guests? A fall date is a great time for an outdoor or tented honey themed wedding. Depending on your area and what your local bees are feeding on, the honey you use can be a variety of colors. You therefore have a versatile color palette to work with including, light yellow, peach, gold, or deep amber. Any combination of these shades will be complimented by the greenery of the outdoors and your beautiful white or off white dress. Try going for a base of rustic chic (wood, burlap, chalkboard, etc) and add your twist of honey on top. Try creating table centerpieces with bee pollen stalks inside mason jars, or tin tea canisters. If you are an artist or know someone who is, have them draw or paint bees and honeycombs on your chalkboards, or any wood structures. If you don’t know any artists or don’t have the time, use these stencils from Michaels with spray paint. 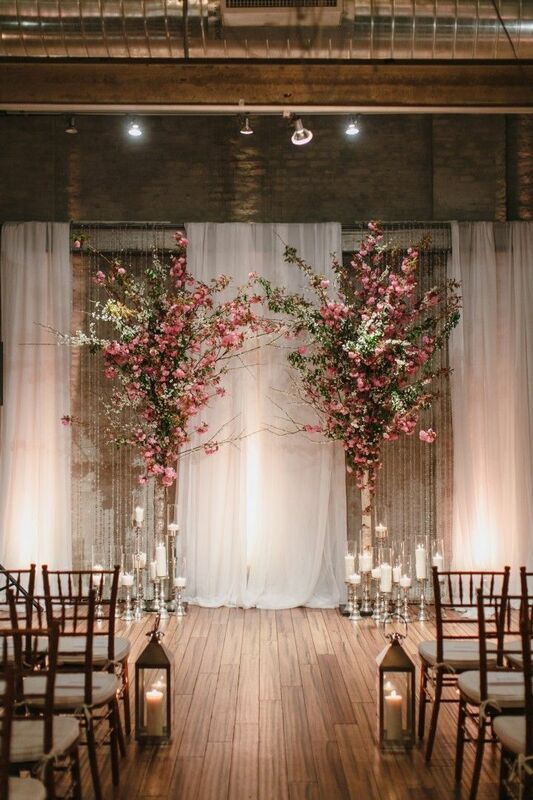 Check out this wooden honeycomb backdrop designed by The Style Co. This is a unique opportunity to do something different from the normal served dinner. 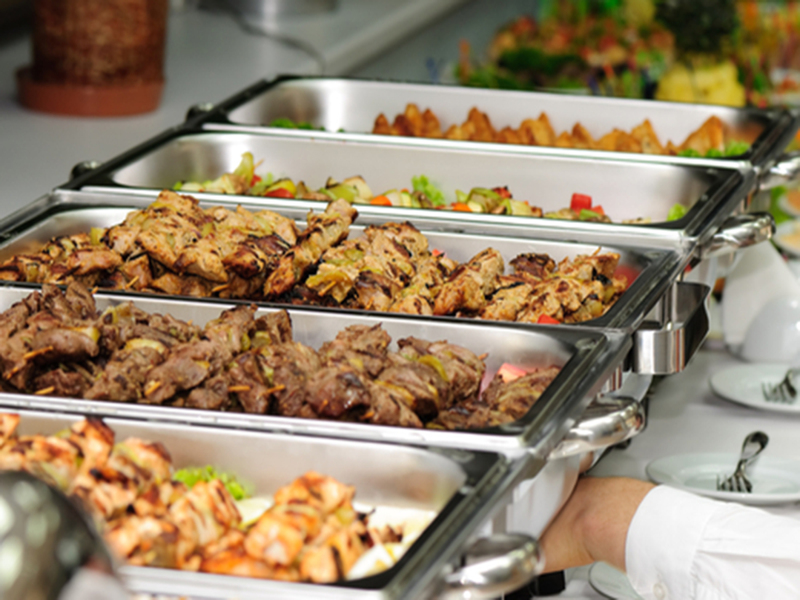 Of course, you’ll want to provide your guests with some sort of main course, such as roasted herb chicken or dinner ham. For an appetizer, try providing your guests (via buffet table or the guest tables) with platters made of aged cheeses, in-season fruits, and artisan breads. Make sure each table has a sampling of local honey for dipping. You have several options here. You can have a simple, understated cake that would go well with any outdoor scheme, or you could go very playful with a full-on towering honeycomb design, complete with fondant bees, honeycombs, and hives. You’ll have to decide which style goes best with your overall wedding tone of course, but we happen to love this cake from Melissa & Matt’s rustic honey bee wedding, created by the bride herself! Are you planning on a honey themed wedding? Tell us about it in the comment section below! Should you use real or artificial flowers in your wedding? This is not a question easily answered, as there are pros and cons to both. We have outlined what we believe to be the key points to wedding flowers: real vs. artificial, so that making an informed decision is a little easier for you. Some say there is nothing quite like the smell and appearance of real, fresh blooms at a wedding. The aromatic ambiance that a real flower creates is usually unmatched; a wonderful feast for the senses. If you are buying in season, they can also be relatively inexpensive, depending on the type of course. If you are using real flowers, it is generally assumed that you are going through a florist, so you will have the added bonus of a professional who is taking care of the nitty gritty so that you don’t have to. Believe it or not, real wedding flowers can sometimes have a few downsides. The flowers of your dreams might have to be imported, which can obviously cause the price to spike a bit, due to shipping costs. 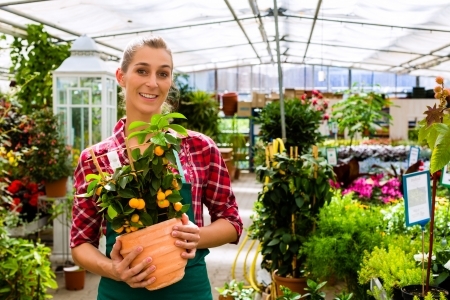 The price can also go up if you are choosing blooms that are out of season. Also, that enchanting aroma that we were talking about earlier, can also be a con. If you have guests with strong allergies, (according to the American Academy of Allergy Asthma & Immunology, roughly 7.8% of people 18 and over in the U.S. have hay fever), then this can cause your guests to be extremely uncomfortable, which is the exact opposite effect that you are trying to achieve. There are actually upsides to using artificial flowers in your wedding. First off, if you are more of a DIY person, then artificial might be your thing. These flowers do not usually come with a florist who is behind the wheel, so you can get your control freak on! The most popular material for these kinds of arrangements is silk, which can look quite beautiful and feel quite soft. Another advantage is that you don’t have to preserve your artificial flowers until the big day, because there is no expiration date for these puppies. Some people don’t realize that you can also add lotions and perfumes to silk flowers to make them smell like the real thing. Even if you are embellishing your flowers with lotions and perfumes, chances are it’s not going to smell like the real thing and that could be a deal breaker for you. Some of you may not be very creative, and therefore find it more stressful to DIY. If this is your case, then you’ll probably want to opt for real flowers with a florist in charge. Also, if you are choosing silk material and lots of it, then artificial can often times be MORE expensive than real flowers. Are you using real or artificial flowers in your wedding? Tell us about it in the comments section below! Are you and your fiance fun, inventive, creative people? Are you looking for some inspiration for a unique wedding theme that is a little different from the usual rustic chic? Check out our top 12 unique wedding themes for 2016 and get inspired! The upcoming release of The Force Awakens this December has brought Star Wars mania back to an all-time high. We think 2016 will see a lot of Star Wars-themed weddings. May the force be with you, in sickness and in health. Why not theme your wedding around the world’s most popular television show? Make it a gallant, medieval-style celebration and feast, fit for a king. Just make sure it doesn’t turn out like the Red Wedding, am I right? Who doesn’t love Mad Men? This is a great opportunity to showcase a very specific era (1960s) in the vintage wedding theme craze. Steampunk is a sub-genre of science fiction that utilizes elements of the technological and aesthetic designs of the Victorian era to create a look that is quirky, different, and is the very embodiment of geek chic. Today’s films and TV shows are flooded with superheros, and it’s because we can’t get enough of them. We love this photo of the bride and her bridesmaids, who took it one step further and got vintage with it! You’ve heard of a Cinderella wedding, sure, but how about a Snow White wedding? Enchant your guests with “poisoned” candied apples, vintage mirror-mirrors on the wall, and your lips, red as rose. Picture your wedding invitations reading “Be Our Guest” and you’ll have the spark of an idea for a Beauty and The Beast wedding. Make sure there are candlesticks, clocks, and teapots a plenty. Plus, it’s a good excuse for an over-the-top ball gown dress. Another unique twist on the vintage wedding. This 20s era masterpiece of literature is a great opportunity to show off your uniqueness and fashion prowess, complete with pearls, fringe, and feather headdresses. Did you think the Harry Potter fever had finally died down? Guess again. With the new release of an illustrated edition of the first book, the Pottermania is back in full force! If you’re having a winter wedding, why not make your theme starry night? This exotic and romantic atmosphere is achieved by having dark hues and undertones splashed with white lights and elements that sparkle. We hope this helps you get creative and inspired! What unique theme are you planning for YOUR wedding? Tell us about it in the comment section below! The high-quality florists tend to get booked up pretty early on in the season, and they have to limit the amount of weddings they take on, so you don’t want to wait too long to schedule your consultations. Plus, giving your florist plenty of time to plan, means that you’re more likely to get the blooms you want. As women, we tend to have a very strong sense of control. This is not always a bad thing, but if you don’t put enough trust into your florist and try to take on too much yourself, this can lead to head-butting and clashes in opinion, which can therefore lead to more stress. Try to relax and let them do what they do best. We know that the temptation to woo your wedding guests with a bold, aromatic presence is strong. However, you need to consider the possibility that many, or at least some of your guests, might be prone to allergies. This will negate that romantic atmosphere you are trying to create. 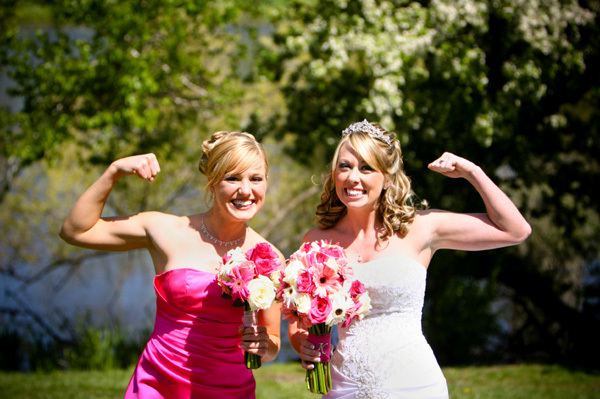 Many brides in the past have been disappointed with the looks of their blooms in photographs. This is because they did not consider the lifespan and needs of the specific flowers they chose. Some flowers are more fragile than others, and this should be taken into consideration when choosing which ones you desire for your wedding. You can file this mistake under “financial blunders.” The flowers you are using in your ceremony can be re-purposed for your reception. For example, the flowers you are using in the aisles and at the alter, can be moved to your reception buffet table, or even the guest tables. If you are ordering separate flowers for both events, this can add significantly to your expenses. Don’t let the high price tag of certain flowers scare you off. The more expensive the flowers, the bigger they are, and the bigger impact they can make. Orchids, hydrangeas, and peonies are all considered “statement” flowers, and you don’t need to buy too many in order to make that statement. That’s all for now brides. Stay tuned for the next part of our Wedding Flower series: Winter Wedding Flowers, coming soon! Do you have any wedding flower advice? Tell us about it in the comment section below! There’s a sudden rip in your pantyhose; the ring bearer spills his grape juice on your dress; you get teary-eyed, causing your eyeliner to run. All of these little scenarios might cause you to feel overwhelmed with anxiety, as though the world were ending. Fear not lovely brides! There is a secret weapon called a bridal emergency kit, that will arm you against any little wedding-day mishaps that might occur. Check out our list of what to have in your wedding emergency kit. Painkillers/Allergy Pills: Don’t let that tension headache or allergy attack ruin your day. Antacid: Because sometimes nerves can get the better of your tummy. Mini First Aid Kit: This is always good to have handy. Straws: Don’t ruin that perfectly-applied lipstick, brides! Granola Bar & Floss: Quite possibly the only thing your stomach will be able to handle. You don’t want anything stuck in your teeth while taking wedding pictures! Mints: Create that minty fresh magic for your first married kiss. Alcohol: There is no shame in needing a little liquid relaxation for one of the most nerve-racking days of your life. Hair Pins: What is it about stressful situations that makes your hair spike up and fly away? These will tame the little beasts. Tissues: Your emotions are going to be running rampant, understandably. Make sure you always have some handy to gently blot away those water works. Tweezers/Mini Scissors/Razor: Tweezers for any splinters (hey, if you’re having a rustic barn wedding, this is very likely to happen! ); mini scissors for any facial hairs that you missed the previous night; and a razor for any leg hairs that devilishly decide to sprout up at the last minute. Baby powder: A lot of brides say they didn’t realize that a certain part of their dress would cause chaffing until the day of the wedding, when they are walking around in it for hours. A little bit of baby powder can combat this. Deodorant: Your nerves might cause you to sweat a little more than usual. It would NOT hurt to have some backup deodorant. Lint Roller: This one speaks for itself. Do you wanna glide down the aisle covered in lint? Small Sewing Kit: Make sure it is stocked with scissors, needles, thread, buttons, and safety pins for any last-minute clothing catastrophes. Clear Nail Polish: For runs in stockings. Crazy Glue: Just in case one of your heels breaks off, or you have some other embellishment disaster. White Chalk: This is an age-old secret trick for brides. If you get a last-minute stain on your dress, cover it with a bit of white chalk. What items are you stocking in YOUR bridal emergency kit? Tell us about it in the comments section below! Choosing the flowers for your wedding requires special attention. First, you want to decide on which colors and style your wedding will take on. Then, you can determine what flowers will best compliment that style. Season is also an important factor in this process. Check out the chart below and read our favorite choices for wedding flowers by month. If you’re getting married in January, tulips (meaning: love & passion) are a wonderful option. They are simple, smooth, elegant, and make for a beautiful bridal bouquet. Soft-headed, with delicate petals, Ranunculus (radiant charm) makes a wonderful wedding flower in February. The Persian buttercup variety features an enchanting, swirling bloom that will captivate you and your wedding guests. Usually coming in blue, white, or purple, irises could be the perfect choice for your March wedding. They have a message of faith and wisdom; perfect concepts for your new life together! Gerbera daisies (sharing your feelings) would make lovely displays in April. Not only are they an economical choice, but their warm color varieties and dynamic petals can add lots of happy charm to your special event. Native to Asia and Southern Europe, the peony flower (m: bashfulness) has a rich history of being used for medicinal purposes. We think these flowers and their soft, pretty colors will add a hint of Asian flavor to your May affair. Calla lilies are a great choice for a June wedding. With a meaning like “magnificent beauty” you can’t go wrong. These lightly fragrant flowers usually come in a deep, dark, Hot Chocolate color and will add a rich, tropical vibe to the party. If you’re having a rustic summer wedding, consider the sunflower. These striking, orange-yellow perennials can add the perfect punctuation to your day. They are also great on a budget, considering all that is needed for a bridal bouquet is one, single stem. Lilies are wonderful flowers that come in a large variety of classifications and spotted patterns. Usually associated with wealth, majesty, and honor, these classic fragrant flowers can add that touch of graceful design you’ve been looking for. Roses have always been the most popular choice for wedding flowers, and it’s easy to see why. Most associated with love & joy, roses comes in several pleasing and understated colors that are sure to compliment your wedding colors perfectly. The dahlia (blessings & inner grace) is a lovely option for your October day. The perfectly-symmetrical geometric design of the Ball and Pompon varieties make it perfect for a modern style wedding. Chrysanthemums are a nice, inexpensive, and not-so-over-done flower for your November wedding. These blooms carry meanings of abundance & truth, and they are sure to impress guests with their uniqueness. Hydrangeas (understanding) are a gorgeous option for a wedding in December. These thick, lush blooms come in a multitude of (usually) cool color tones, which are sure to mesmerize your guests. Thanks for listening brides! Stay tuned for the next part of our Wedding Flower series! What flowers are you planning on for your wedding? Let us know in the comment section below! Ladies, we know that planning your wedding can be one of the most stressful periods in your life. We are here to tell you that it doesn’t have to be. If you can implement just a few new habits in your daily routine before you start planning, and keep some things in mind during the process, it can be a lot less stressful for you and your guy. Get plenty of sleep and exercise! Doctors and sleep experts recommend you get 7-8 hours of sleep per night in order to maintain a mentally and physically healthy lifestyle. The exercise will help you burn off some of that stress steam, plus it will help you fall asleep at the end of your day. Even with getting enough sleep and exercise, you’re still going to have some freak-out moments. This is completely normal when planning a wedding. A good way to combat this is to meditate for at least ten minutes a day. Studies show that meditation can decrease mind-wandering and stress. So, find a quiet place, put on some comfy clothes, sit down and relax. You can picture yourself on a beach in Maui, listening to the gentle crash of waves, or pretend you’re sitting on the dock of a crystal-clear lake in Maine, surrounded by Honeysuckle trees. If organization isn’t your strongest skill, there are ways to develop it. Buy a dated planner/organizer and keep everything (receipts, ideas, names, and numbers) in it, so you don’t lose info or miss an appointment. There are also wedding planning apps such as The Knot Wedding Planner and Our Wedding Planner you can download that will help. The more organized you are, the less stressed you’ll be. One of the best things you can do to lift a huge chunk of stress off your chest, is appoint someone to be your wedding day contact. On the day of your wedding, your mind is not going to be capable of grasping such concepts as organization, planning, and scheduling. You will be off, floating in the clouds of another dimension, where new and different emotions are taking over. 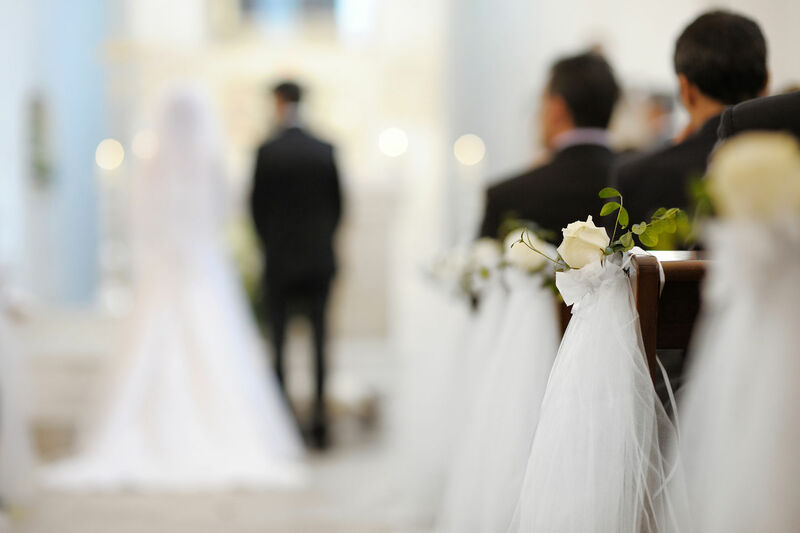 If you give a close friend or family member the authority to be the central contact person for venue employees, bakers, florists, etc., you will be able to focus on the one thing that matters at that point, which is marrying the man of your dreams. We hope this helps relieve some stress for you! What steps are you taking to ensure your wedding planning is as stress-free as possible? We’d love to hear from you in the comments section below!